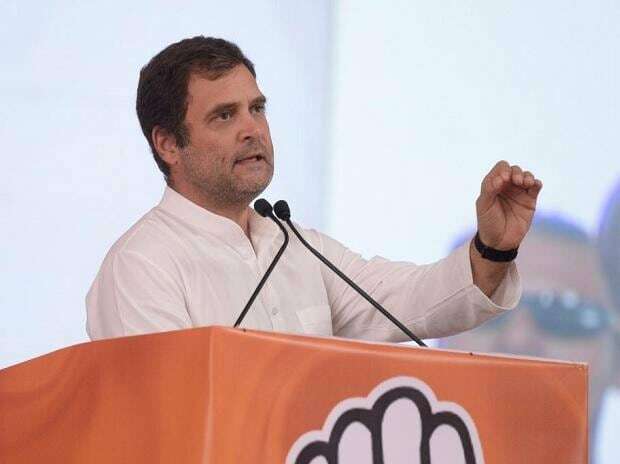 Congress president Rahul Gandhi Saturday assured a group of traditional fishermen in Goa that if his party was voted to power at the Centre this year, a separate Union ministry would be created for fisheries. Gandhi, who arrived in Goa on Friday, held series of meetings on Saturday with the people dependent on mining, traditional fishermen, environmentalists opposing recent amendment to the Coastal Regulation Zone (CRZ) notification and citizens opposing handling of coal in Vasco town. "Gandhi assured us that a separate ministry for fisheries and fisher welfare would be created in order to do justice to the sector once voted to power," said Olencio Simoes, Vice Chairperson of National Fisherworkers' Forum. He said Gandhi agreed to include the demand of a separate ministry in the party's manifesto for the upcoming Lok Sabha election. "Presently, fisheries is only one of the three divisions of the department of Animal Husbandry, Dairy and Fisheries that functions under the ministry of Agriculture," Simoes, who led the group of fishermen for a meeting with Gandhi, said. The fishing community also demanded scrapping of CRZ notification 2019, describing it as detrimental to the community. Gandhi also met the representatives mining dependents and as well as those affected due to pollution created by the handling of coal at Mormugao Port Trust in Vasco to hear their grievances. The Congress chief did address media as he immediately left for Karnataka after the meetings.